In the spring of 1983 I got a call from Sis Kaplan who along with her husband Stan owned Charlotte radio stations WAYS & WROQ. Sis was President of the National Radio Broadcasters Association. 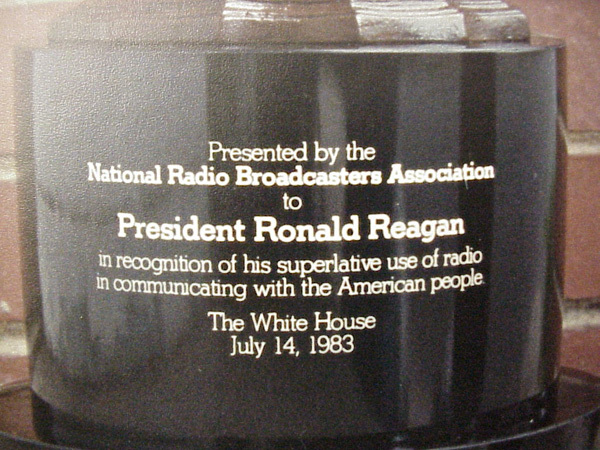 The NRBA wanted to give President Reagan an award "in recognition of his superlative use of radio in communicating with the American people". Their first idea was to give him a radio but I suggested a vintage microphone since he had gotten his start in broadcasting in the early 30s. I told her I had a nice spring mic and offered it to her if it would fit their needs. She was really pleased with the style of the mic, it wasn't very pretty but I offered to restore it so that it was worthy of being presented to the President of the United States. Before starting on the restoration, Sis had me take the mic to a local award shop so they could design a base for it. 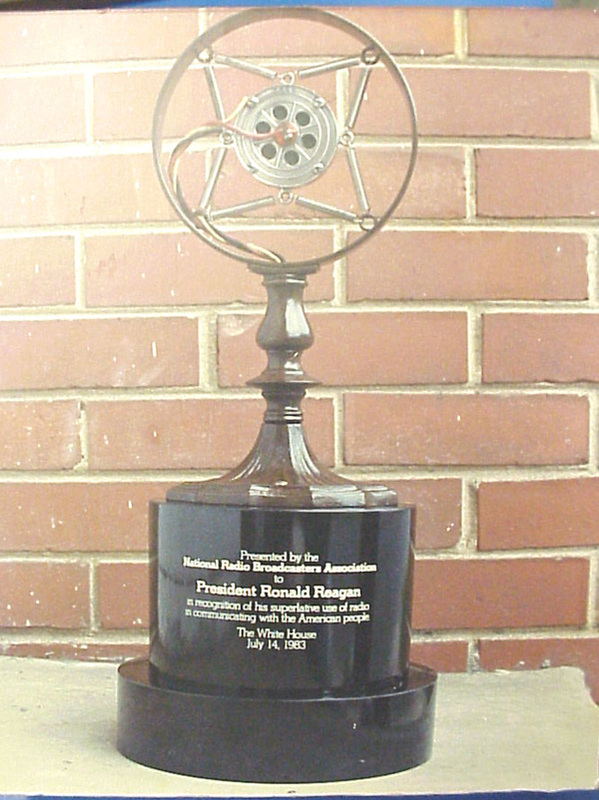 After I completed to restoration, I took the mic back to the award shop and they mounted it on the base. 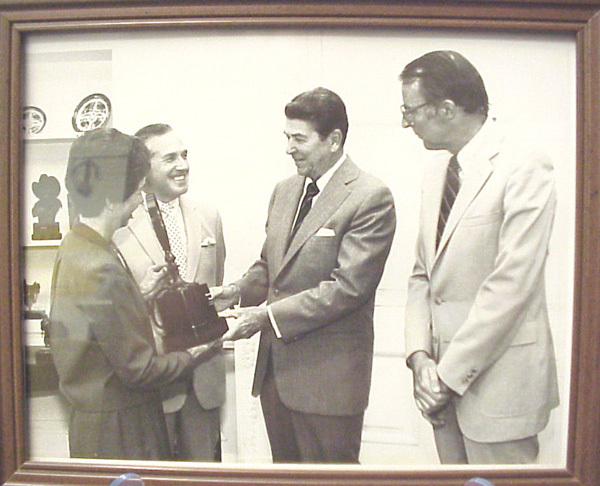 Sis was good enough to get me a photo of her presenting the mic to President Reagan in the Oval Office at the White House on July 14th. 1983. I don't know for sure, but I'd like to think it's on display along with the many other awards the President received while in office. I sure wish I could have gotten the photo autographed while he was still in office.